A magnificent Roman warrior stands in lookout upon a luxurious marble base. 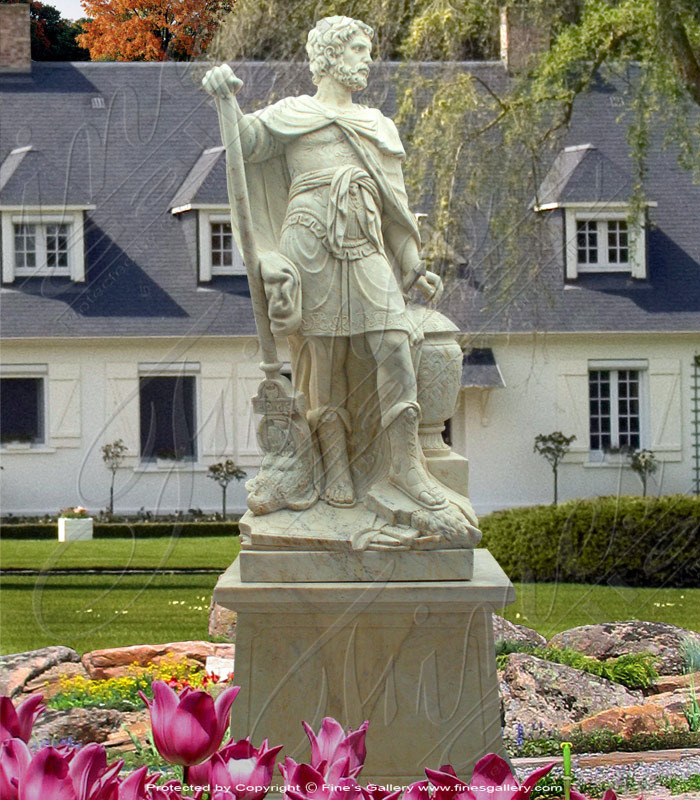 Decorate your courtyard or garden with his courageous presence. Contact Fine's Gallery for all your decorating questions and complete customization of our art. 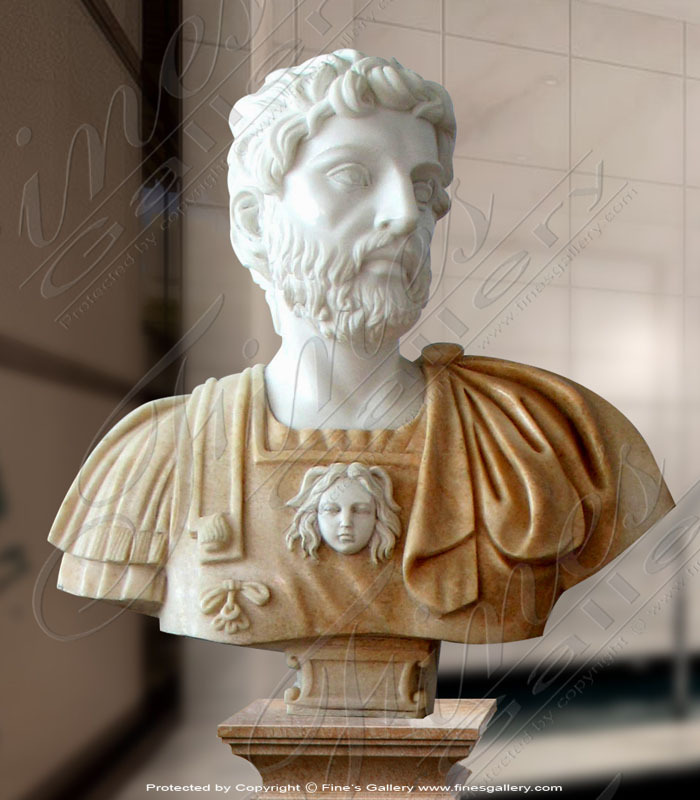 A very stylish bust of this Greek male in traditional hair, beard, and attire adds a nostalgic comfort to the decor. Expert hand carving reveals flawless proportions and brave expression on the face of this noble warrior. Contact us today. 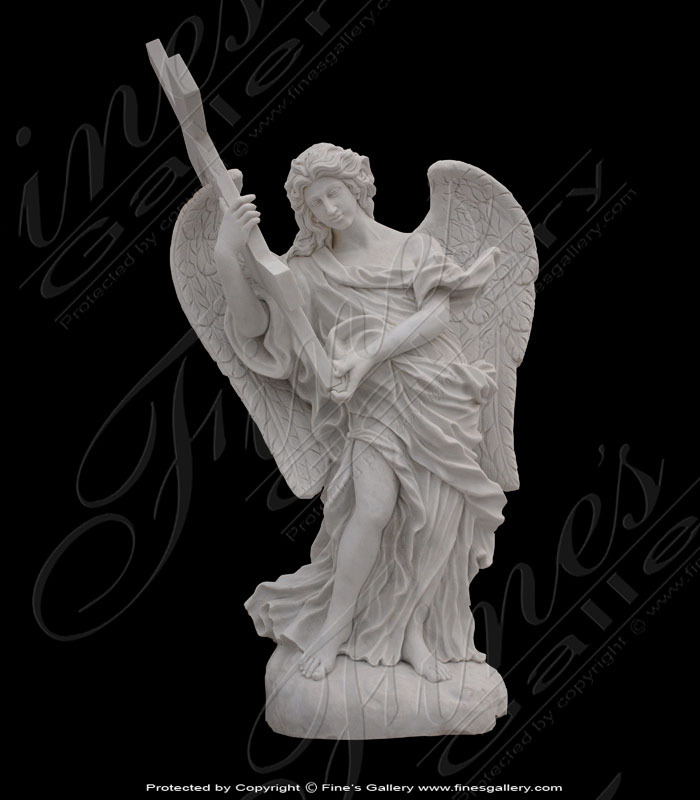 This magnificent statue portrays a beautiful angel holding a large cross.Fine detail has been rendered incredibly life-like by the artist to reveal a solemn expression and windblown garments. Call us today for details.